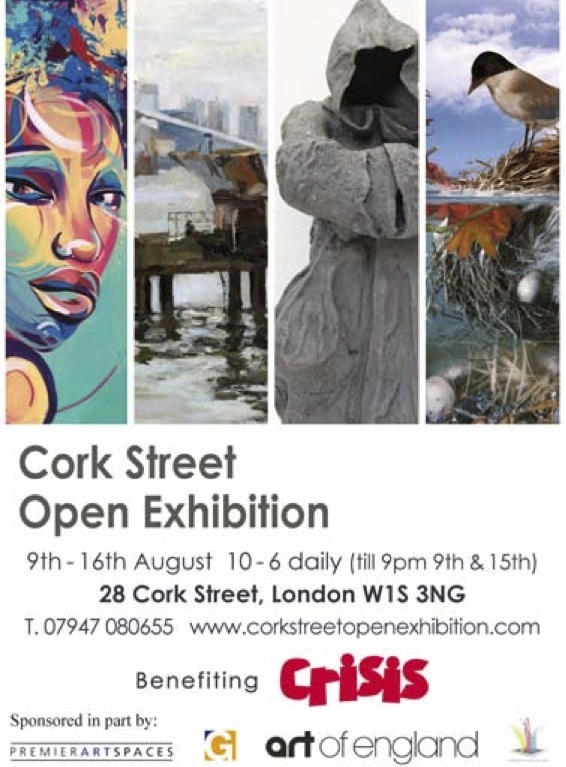 I’m proud to announce that my artwork “Travelling with Max” will be hung at the Cork Street Open Exhibition in Mayfair, London. 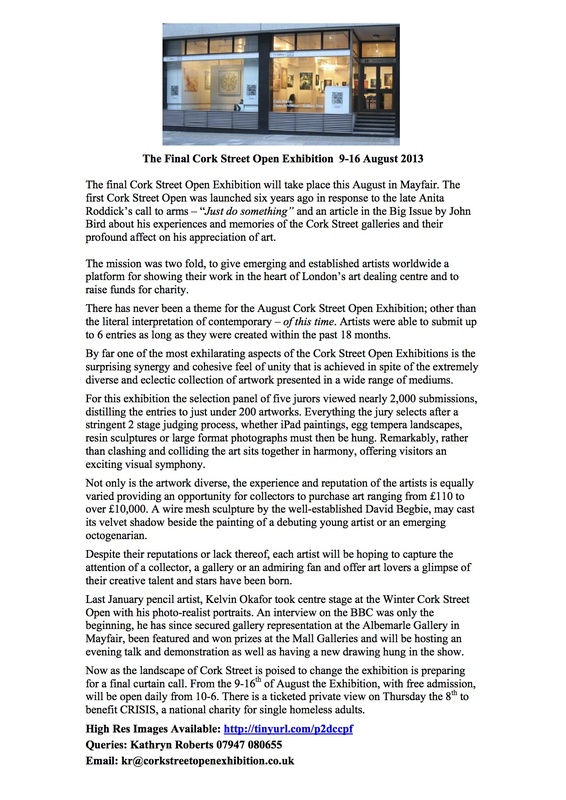 I’m particularly pleased, as sadly, it’s the last of it’s kind, as the face of Cork Street is poised to change. I am fulfilling an artist’s ambition to exhibit there. Exhibition runs from 9th August-16th, it’s free admission so I think it will be a feast of art. Hope you can make it! The Private view, this Thursday 7-9pm, 8th August is ticketed and proceeds go to charity for the homeless ‘Crisis’.